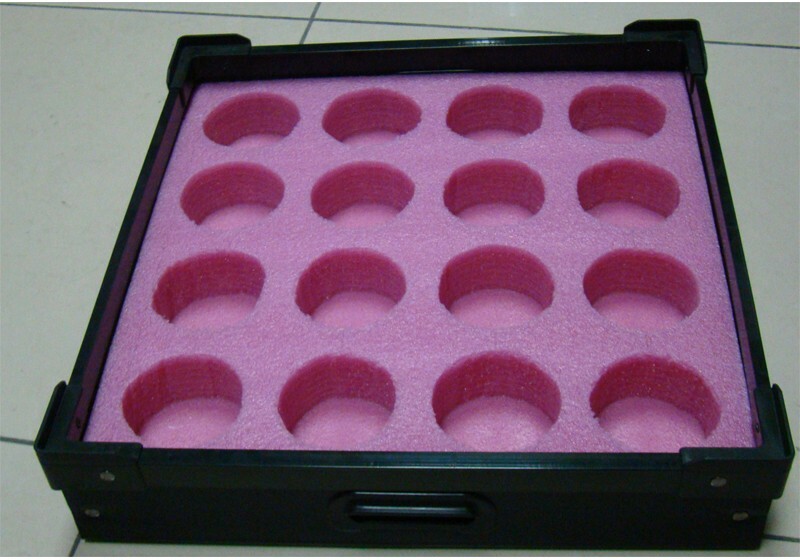 ESD Plastic Box with Pink EPE Foam Insert. The Box can be anti static corrugated sheet or injection. With anti static EPE foam insert inside.